I've been meaning to put up more photos I took of the International Seminary of the Fraternity of St Peter when I was there for the ordination of Fr Matthew McCarthy. 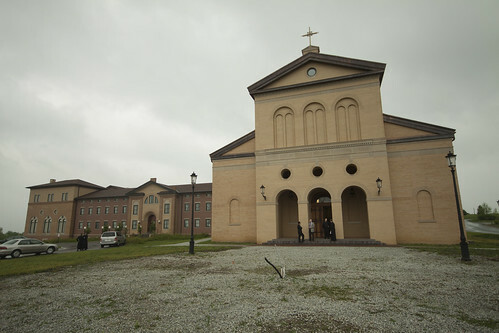 The seminary is extremely impressive, all newly built. There are still a few things to be done - I think the pipe sticking out of the ground in the photo above is going to be a fountain. 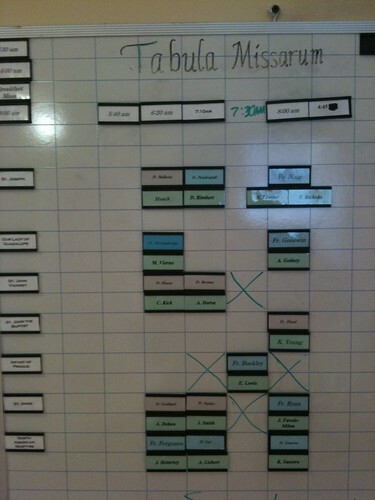 Stained glass in the chapel is planned, and so on. Standing in front of the chapel there is a breathtaking view. 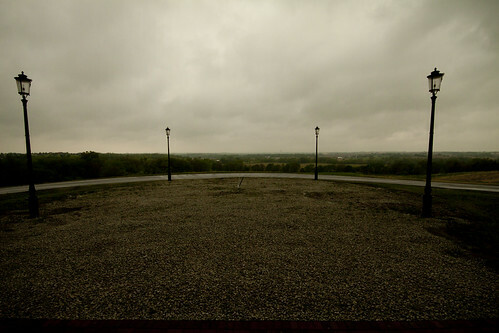 In the distance is Denton itself, little more than a village. In the opposite direction, about 30 minutes' drive, is Lincoln. The is the view from a balcony opening into the chapel. 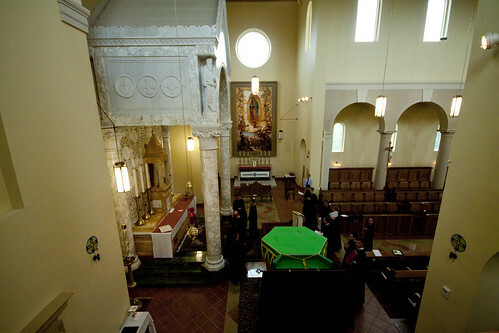 Notice the enormous painting of the tilda of Our Lady of Guadalupe on the opposite wall. The people in the sanctuary are getting ready for the ordinations. 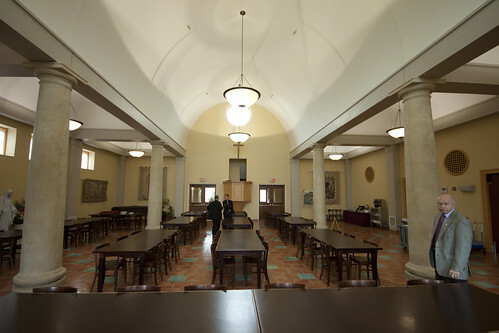 The refectory. 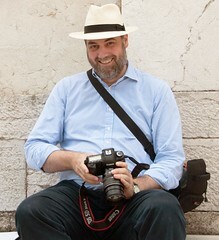 I was being shown around with Leo Darroch, the President of the Una Voce Federation. 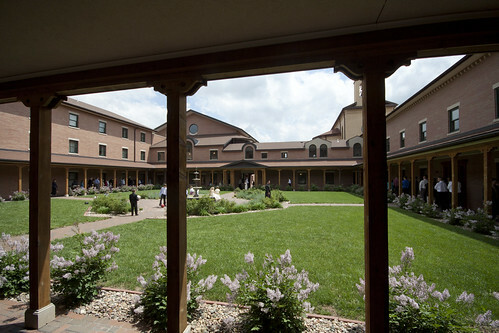 The cloister. I took this while the newly ordained priests were giving 'first blessings'. 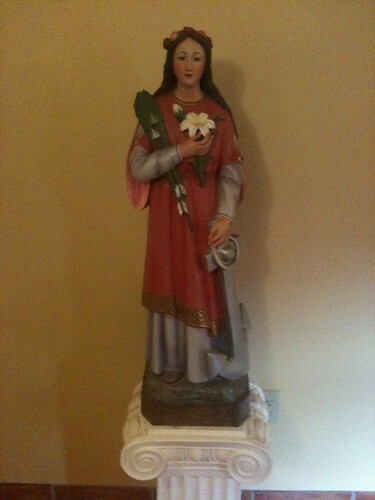 A familiar figure in the corridor: St Philomena. There are naturally lots of statues and religious pictures around the seminary. 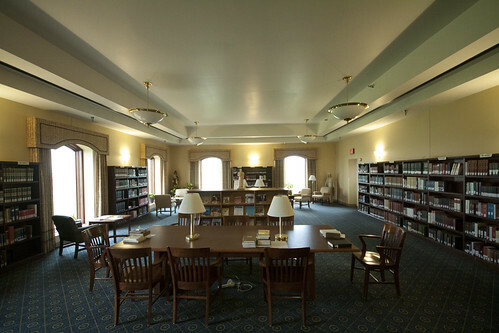 Part of the very comfortable library. There is a another very large room of book stacks. On the morning of the ordination, Fr Calvin Goodwin FSSP celebrated Low Mass. 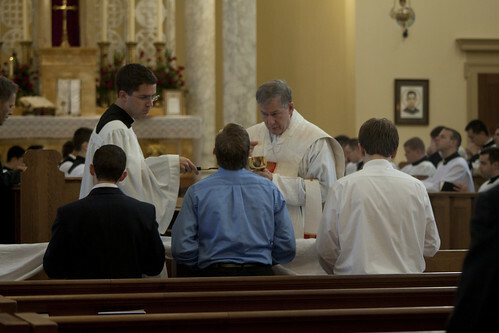 Here he is distributing communion to the first-year seminarians at the communion rail, where there is a houseling cloth. Fr Goodwin came to England in 2009 to help teach at the Latin Mass Society's Priest Training Conference. A close-up of the high altar. It was rescued from a church in Quebec: the column capitals include the Canadian maple leaf and the fleur de lys. The extra lecterns have been placed there for a rehearsal for the ordination ceremony. Notice the ceiling as well. At the east end of the main chapel there is a series of interconnecting side chapels for private Masses; this is one of them. 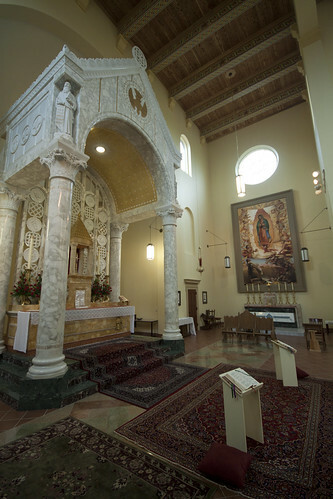 Interestingly the relics of the martyrs used in the dedication of these altars are from martyrs of the persecuted church in Mexico; each chapel has a picture of the priest martyr whose relics are enclosed in the altar. 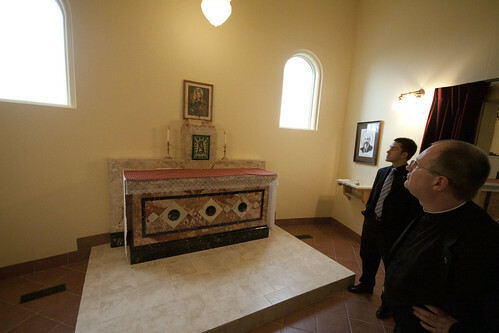 (See it on the wall to the right of the altar.) That is Fr Matthew Goddard, incidentally, showing us the chapel, with a first-year seminarian next to him who is actually from Fr Goddard's apostolate in Canada. The Seminary was of course particularly full and busy at the time of the ordinations; most altars was being used more than once for private Masses early in the morning. An artists' impression of the Seminary, based on the plans. The tower to the side of the chapel was dropped from the plans, partly because of the strong winds of the area. The chapel has a belfrey instead. More photos in this set here; see also my posts of the ordination and Fr McCarthy's first Mass.